In this article, we are thinking specifically about those working in the food business. To succeed in this industry, you have to do more than build and open your own business premises and expect people to step through your front door to see what you have on offer. You have to market yourself, getting the word out, and finding ways to show the hungry public what you have to feed them. Now, there are all kinds of ways to market your business, but it can be costly. One way to reduce costs is to leverage social media, using the best of what the internet has to offer you to put your business at the forefront of people’s minds. We will give you a few basic social media tips here, before going to on to discuss how you can utilise specific networking sites to your advantage. Define your target audience and consider which social media sites they will be using. 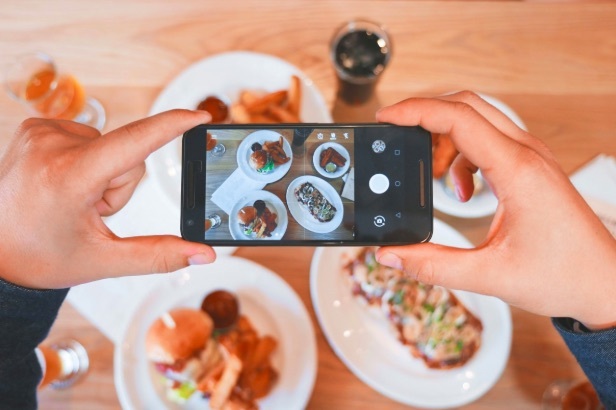 Join social media groups, such as anything food-related, and without being too heavy on the sales pitch at first, begin to talk about your business. Direct interested parties back to your website from your social media accounts. Include social media buttons on your website, where happy customers can share a link to your business across their networks. Set up specific social media pages where you can share news about your business. Let people know of new recipes, highlight special events you are hosting, and share pictures of the glorious food you have on offer. You don’t have to use every social media site unless you have the time. Focus on two or three, concentrating your efforts on becoming part of specific communities, and perfecting your sales pitch on each. Facebook. You probably have a personal account set up already, but you can use this popular networking site in a number of ways. For starters, set up a group associated with your food business, and post updates regularly with anything of interest to your customers. This can include pictures of the latest recipes you have produced or fun facts associated with anything in your industry. You can also encourage your customers to promote your business across their networks with their positive word-of-mouth. You may also consider paying for Facebook Ads to further spread word about your business. YouTube. Through the use of video, showcase your business in a number of ways. As one example, you could give cooking tutorials and lessons on how to use specific pieces of catering equipment. You might also invite YouTube celebrities into your establishment, to get them to promote your business on their video channels. You could do other things, such as having a behind the scenes tour of your premises, or showing happy customers (provided you have permission) enjoying the meals you have prepared. They might also leave video reviews for you. Pinterest. Possibly the most popular photo-sharing social media platform of them all. Here, you can perfectly capture your food in this visual format, perhaps setting up themed pin boards to display the delicious varieties you have to offer. You can then get your friends, family, and customers to follow your pins, and to encourage their networks to do the same. Alternatively, you might also utilise Instagram in the same way, another great platform to share pics associated with your business. Social media is free marketing, so there is no excuse not to use at least one of the social platforms available. Considering social media is where many of your customers will be spending their time anyway, it is common sense to stay in touch with this popular trend.